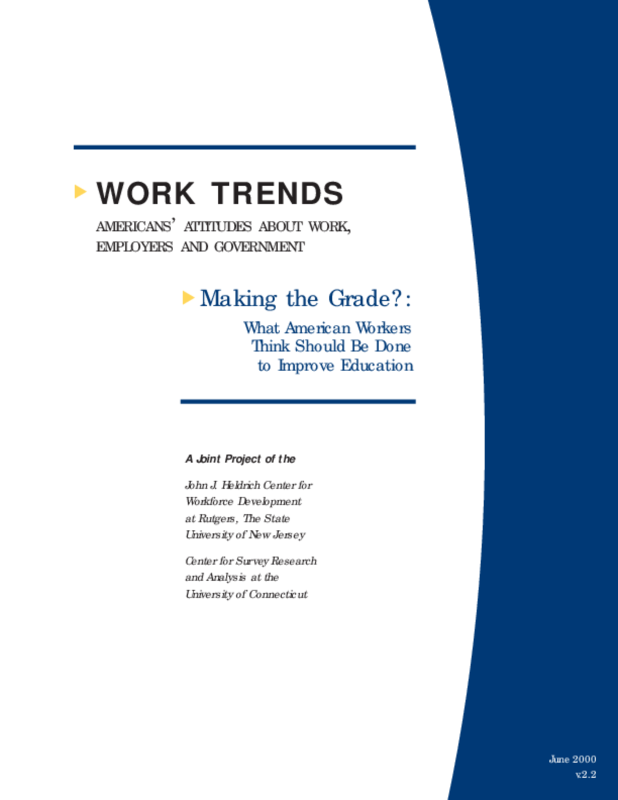 In this Work Trends survey, working Americans express their views on how well their schools and colleges are performing, what changes would improve the education students receive, and who is responsible for ensuring that students learn the skills they need to succeed at work. Copyright 2000 Heldrich Center for Workforce Development. All rights reserved.